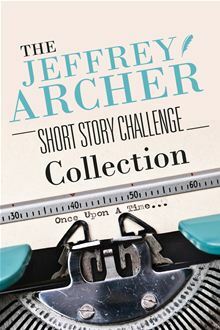 Get the Jeffrey Archer Short Story Challenge eBook now! This past January, Kobo and Curtis Brown Creative partnered to bring you the Jeffrey Archer Short Story Challenge. We invited submissions of 100-word stories to our contest with a grand prize of free enrolment in a Curtis Brown Creative online novel-writing course. The entries came in – almost a thousand of them – and our Kobo panel of judges narrowed the field (with great difficulty) down to twenty semi-finalists. Jeffrey Archer will look at those twenty semi-finalists and choose the top three, to be announced at the upcoming London Book Fair on April 15th. Those three will then go on to compete for the grand prize, the winner determined by Curtis Brown Creative. The finalists will be announced on April 15th, but you can check out all twenty semi-finalist stories (plus three honourable mentions) and their authors right now, with the free Jeffrey Archer Short Story Challenge Collection. Jeffrey Archer’s short story “Unique” – the short story that started it all! And let us know in comments which are your favourites! Book trailers – the next best thing since bookmarks? Book trailers - the next best thing since bookmarks?